If that is what the Micros torso looks like, I like it. It's a screenshot from a cartoon. Take that as you will. Teen Titans go probably then. Still does look pretty cool expecting something similar for the Micro's one. Dont know if this has been previously said (probably has), but does anyone wish that the angry face on the reverse flash they had put black outside the eyes so it looked more like the comics Hunter Zolomon Zoom? Personally, not really. I'd rather have two expressions that fit the same face. I've seen close-up pictures of Killer Frost and Reverse Flash until now. Does anyone has links to close-ups of all the others? Killer Frost still looks wrong with Magpie's hair, but overall looks like a good wave. Oh cool, it's Batman's rebirth suit, never noticed that! Shame he doesn't have purple on the inner cape, but tbh lego are so lazy I would never have expected it. I don't think it's lazy, I think it's budget decisions. Two-tone capes are certainly pricier than one-tone, so if they did that, they would have to take budget away from another area, like new pieces, for example. 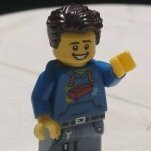 In addition to a couple of the micros minifigs having pics out in the wild, there's a closer look at Krypto as well. He's a little bit more heavily stylized than I would've guessed, but in a fairly dignified way. It'll be interesting to see one in person when the set releases. 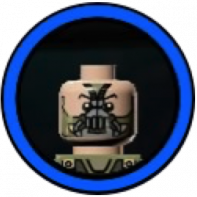 Having seen the future Nexo sets, I see scope for Green Lantern. Also there are some clearer pictures of Jason Todd Robin and disgruntled Joker. There may be a distinct lack of leg detail in 2018, but at least we get a fairly new selection. 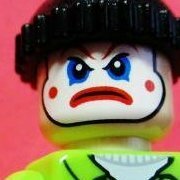 mario_power56 on Instagram has released lists of 2018 sets on his account, mainly Juniors, Disney and Minifigures. But I noticed on the top of the Disney one, slightly cropped, a description of the set 41244 described as follows: "Starfire High-Flying Wonder Woman Res(cue?). Includes Starfire, Wonder Woman (? Yellow Crystal bad guy?)" The numbers make sense for that. 41239 was the last of the previous wave. Hi just wanted to know if there was leaked info on the summer 2018 sets especially anything relating to the joker? Please any info besides the juniors batcave. I mean an actual set under the DC universe series. No, there is no info yet on the summer wave at all. Hello does anyone have pics of the bat cave juniors set I have seen the leaked pics but I am curious if anyone has official pics and or final pics. if anyone has pics just post them or send me a link. Anyone know what Set # 40301 on brickset could be? It's saying DC Super Heroes. Lego didn’t make direct Suicide Squad sets, no. It was likely for exactly that reason, given the title includes “Suicide.” But they included the majority of the group in minifigure form sprinkled into the spring and summer 2016 wavs of sets. Yes! 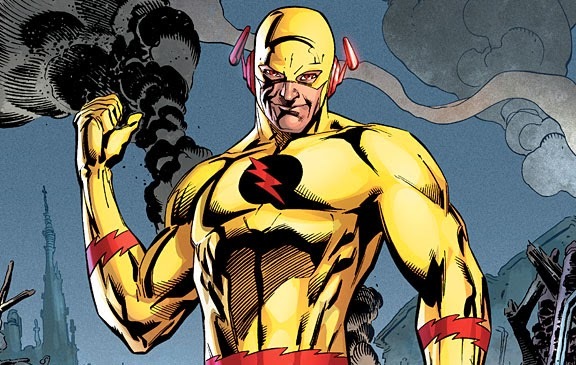 Pumped that we're getting an accurate Reverse Flash.